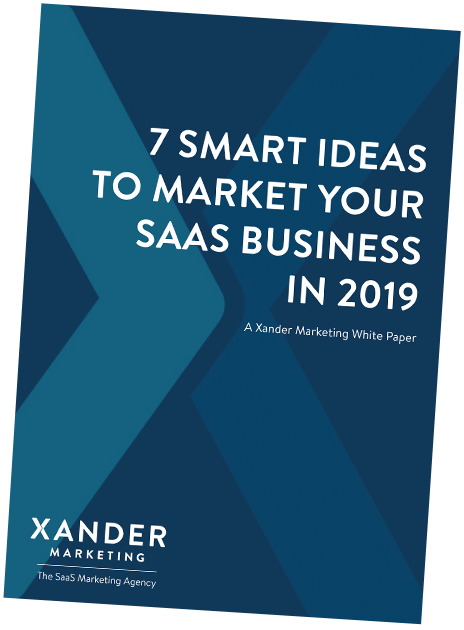 If we take this model here are some points to consider when it comes to marketing your SaaS business based on these three stages. At this point, you need to understand what marketing works for you – and then improve it even more. Everything is new and it’s a case of testing, putting betas/MVPs in place and learning quickly. At this stage, your marketing should be generally focused on testing. Define what your message and key benefits are and showcase them on your website. Is free trial or book demo better? Contact us or get in touch? Try different versions to see which entices your customers more. Don’t just stick to one channel – try a range of different things to see what sticks. Content marketing is a hugely effective way of marketing your SaaS product. You should use your blog to find your thought leadership position – and it also helps your SEO, too. Even in this post GDPR world, email is still a top way to generate leads. A carefully crafted and personalised email could win you your next customer. At this stage of your SaaS product’s growth, your marketing is usually best outsourced to an agency or to freelancers. At this point, you need to understand what marketing works for you – and then improve it even more. Work out what’s working from phase 1 and keep doing it. If email and blogs have been successful, do 2 blogs or emails a week instead of just 1. Keep establishing your brand as the thought leader. Not only will this as mentioned help your SEO, but good and consistent content will keep your readers returning to your site. If you’re having trouble handling your leads, think about bringing in some marketing automation software. This will automate your repetitive tasks such as emails and scheduling social media posts. As your brand is becoming more established, start looking at further advertising and PR campaigns to make your name go further. An outsourced marketing agency might be best suited to this stage, or possibly an in-house marketing director with the rest of the marketing work outsourced. At this stage, you should be looking at advertising your brand in more consumer places. This could be anywhere from national newspapers, to specialised TV adverts. With help from your blog and other advertising, you will probably be a well-known product amongst consumers. Conferences can be an effective way to communicate with your current customers and tap into new ones. HubSpot runs a particularly large conference every year called Inbound. Typically at this stage you’ll have a Marketing Director and some resource in house. You may choose however to outsource certain niche skills such as PPC or design. Whether you’re a start-up or a well-established business looking to expand or improve your marketing, Xander Marketing can help you. We’ve been helping SaaS businesses all around the world since 2009 to grow their businesses. We work to support growth through new acquisition, increasing leads, generating more website traffic and raising industry awareness. If you lack the time, resource or know how to understand branding your SaaS product, then get in touch and book your free one hour consultation.